Finding your way out. Selling your business. Walk down the main streets of most any town or city and you’ll find at least one vacant store. 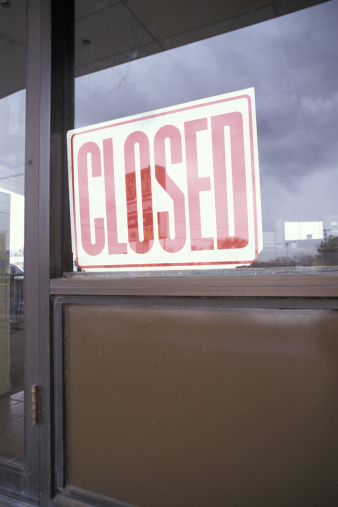 Turnover in new businesses is common and statistically predictable, but sometimes it’s a long-standing business that has closed its doors. What happened to the business owners? Times have been tough for some—especially where neighbourhoods and buying habits have changed— who found their inventory getting stale, their cash flow drying up and their children gone their own way, wanting nothing to do with the family business. Tired and defeated, they wanted out. So they just closed their doors. Sometimes, that’s all they can do. Yet as a business broker who’s been around many blocks, I can’t help but wonder… were there other options? Options the owners didn’t know about. Doors they could open instead of close. The trickle-down effect of a closing extends beyond the immediate owner(s) and family. Barbara Taylor, a partner and co-founder of Allan Taylor & Co., writes in the New York Times Small Business section about the issues related to buying, selling and valuing private businesses. Few people have the perspective that business brokers do on just how close some small businesses can come to closing their doors… When I see the writing on the wall, I know what it will mean to the owner but I am also aware of how it will affect the local economy. It bothers me to hear or read about business owners pulling the plug on a business they’ve put years of their life into. Could someone in our industry have done better for them? Not if they haven’t talked to us. We won’t prolong the pain and offer false hope if it’s clear they’re only going to keep losing money and there is nothing more in them to give. We won’t take on businesses we know we can’t sell. But we will show them ways they can build the value in their business to make it profitable and sellable given time and effort. Sometimes it’s all an owner needs to get re-motivated. I recently met with someone like that. After several punishing years, the owner was ready to give up and sell for whatever he could get. I didn’t take him on as a client. Instead I showed him how, with two years of effort, he could get his business back to a healthy profitable position in the market, where it would offer much greater value. Re-invigorated, he is now putting his energy into the business. The meeting cost him nothing. An active business brokerage with national scope has knowledge and connections most don’t, especially when it comes to strategic alliances. Brokers there can reach beyond the local market for a fit that benefits both businesses. On their own, each may be losing money, but together are strong. Or one may be cash poor and the other cash rich. I recently brokered such a deal with one business in Ottawa and the other in Vancouver. Clients who want to continue their growth through acquisition also retain us to find other businesses not yet on the market. A good business broker knows their local area well, including those owners who might be interested—for some approaching retirement, this might be their way out. Are you thinking of walking away? Do you know your options? To find our more about selling a business, feel free to check out the 25 or so articles under that heading in my “At the broker’s table” series. And for ongoing tips, be sure you get our monthly newsletter.